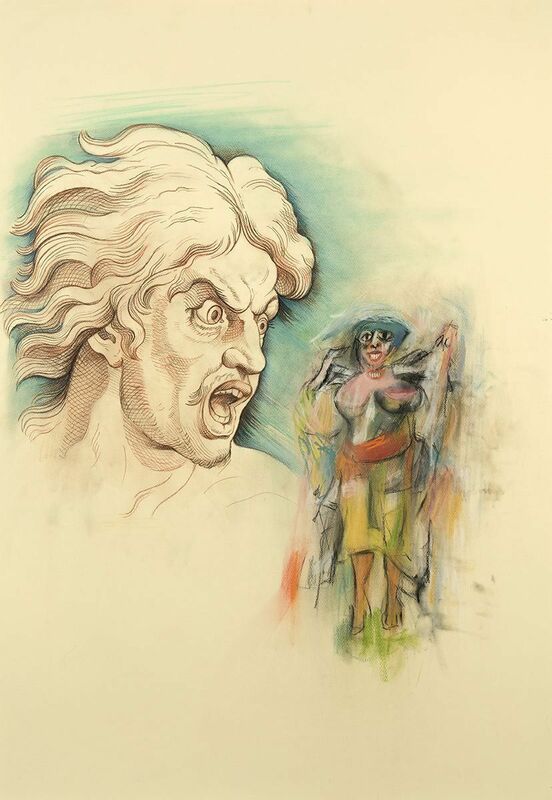 Audrey Flack: Master Drawings from Crivelli to Pollock at Hollis Taggart Galleries will present a new body of work from legendary painter Audrey Flack, signaling her triumphant return to two dimensions after nearly three decades working almost exclusively in sculpture. Audrey Flack: Master Drawings from Crivelli to Pollock at Hollis Taggart Galleries will present a new body of work from legendary painter Audrey Flack, signaling her triumphant return to two dimensions after nearly three decades working almost exclusively in sculpture. These new works draw on Flack's longstanding interest in Baroque and Old Masters, and places these sources alongside imagery gleaned from the 20th century canon, including Abstract Expressionism and Pop art. Across the thirty works in this exhibition, Flack experiments with drawing, painting, and printmaking, infusing each piece with her vibrant contemporary vision. 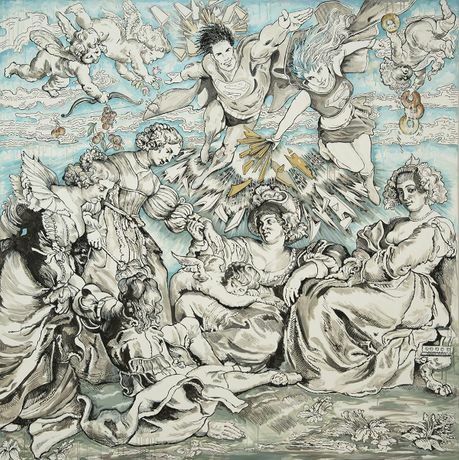 Flack's marriage of Modern and Baroque makes explicit a concern that has occupied the artist throughout her career, namely an interest in contemporary art that spans centuries and art historical movements. She reminds us that the Baroque masters were groundbreaking contemporary artists in their own time, just as the Abstract Expressionists were in theirs. 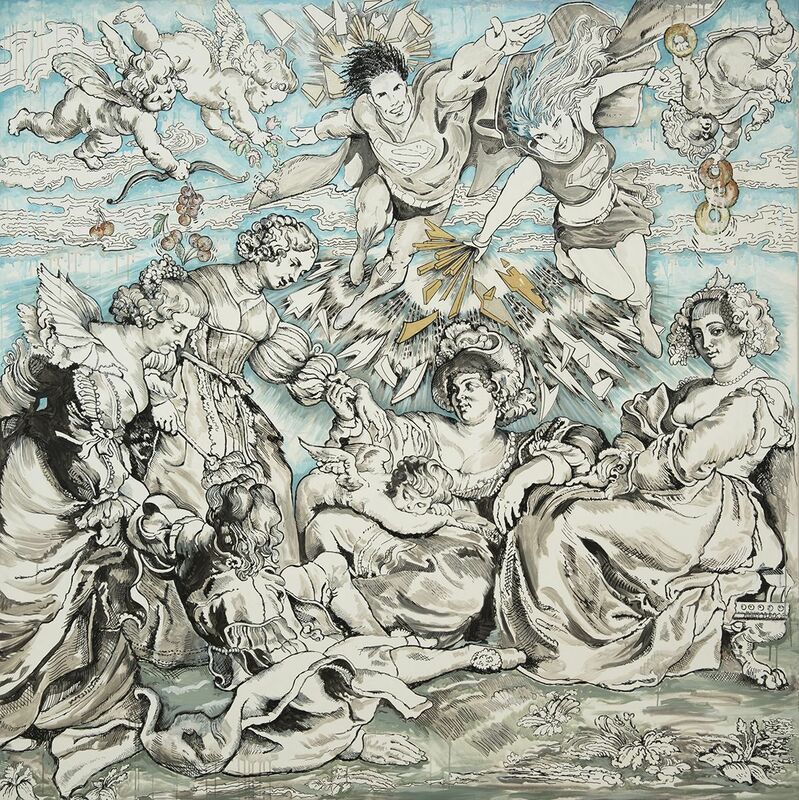 The centerpiece of this exhibition, a large painting entitled Fiat Lux, combines figures from Peter Paul Rubens' Garden of Love (1630s) with classic comic book superheroes. Flack uses as her source not the Rubens painting, but its woodcut, thereby drawing visual parallels between heavy outlining and graphic style of both classical printmaking and modern comic book illustrations. A dominant theme in this group of works is the depiction of figures, and especially of women, who have been maligned by history. 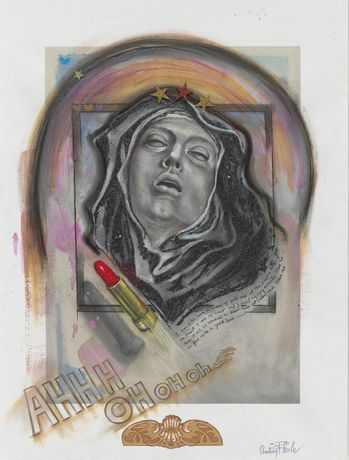 Flack turns to film star Marilyn Monroe, sculptor and assistant to Rodin Camille Claudel, and the misunderstood St. Theresa in Ecstasy, presenting each as an icon in their own right. Flack absorbs the figures' complicated histories, embellishing their portraits with collage elements and text that transform their hardships into celebrations of strength. Audrey Flack: Master Drawings from Crivelli to Pollock will be accompanied by a fully illustrated catalogue, which will include an illuminating essay by Robert C. Morgan and an in-depth conversation between Flack and art historian John Wilmerding. Morgan is the author of more than twenty books and countless critical essays, and in 2011 was inducted into the European Academy of Sciences and Arts in Salzburg. Wilmerding is a prolific writer on American art and has served as a senior curator at the National Gallery of Art in Washington, D.C. and later as that institution's Deputy Director. He is also an Emeritus Professor at Princeton University.